The Alpha M-51 Field Jacket is available at US Wings! This is an authentic reproduction of the M-51 field jacket, which was worn during the Korean War and the early part of the Vietnam War; it features a washed 100% cotton shell for that authentic “vintage” look. The Collector’s Edition Alpha M-51 Field Jacket is an authentic reproduction of the M-51 field jacket. 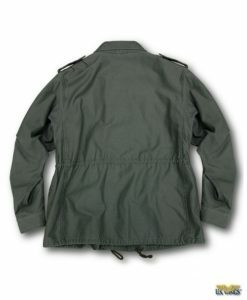 The M-51 (M-1951) was the first major revision of the field jacket since the WWII M-43 and is the predecessor to the current M-65 field jacket. Worn during the Korean War and during the early part of the Vietnam War, the M-51 will bring back memories to vets of that era. 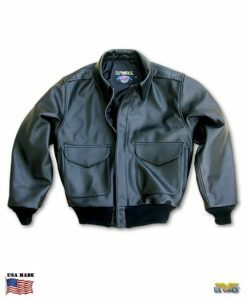 The M-51 retains some of the characteristics of the M-43, but includes a zippered front under a snap-closed wind-flap. This is an improvement in both practicality and convenience over the M-43’s button front. An outstanding field jacket to wear as is, or adorn it with your own patches and unit insignias! Made by Alpha. Import. Tip: Treating this jacket with Scotchgard™ will protect it from rain and snow! Note: We have a limited quantity and in limited sizes left for this jacket. Make sure you get yours before they are all gone.